Honestbee is having its first-ever Christmas pop-up store in Lot 10 from now until 1st January 2018. Specialty Christmas items from Ben’s Independent Grocer, King’s Candy, Magnum Ice Cream, as well as ready-to-eat food from O’Briens, Pezzo Pizza, and The Bowls make up some of the booths. 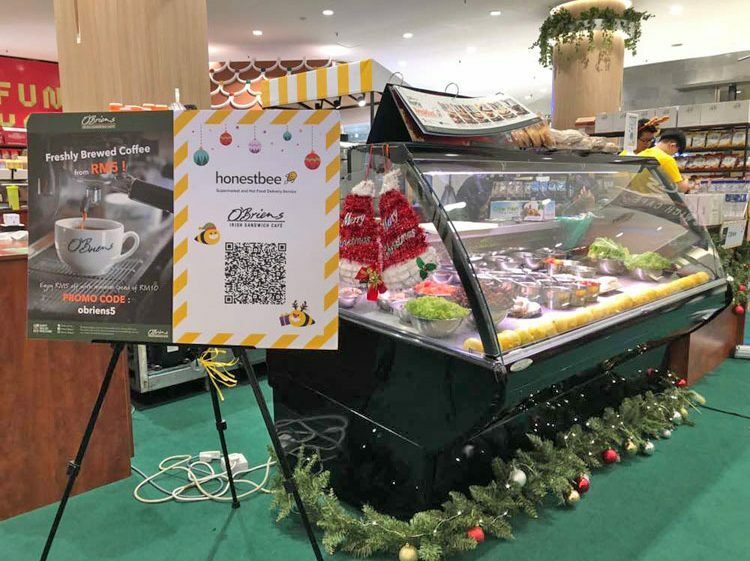 The honestbee Christmas pop-up store combines Malaysian’s love for a brick and mortar experience, while instilling the cashless convenience of using the honestbee app. There’s two ways you can shop the Christmas goodies. One, you could walk through the aisles and use the app to scan the QR code of the items you want to buy, then just head to the checkout counter where helper bees will assist. Second, if you’re comfortable with mobile shopping, you could just browse and shop through the app completely. The plus side of physically heading over to the pop-up store, is you’ll get to see and touch any of the products should you wish to, and even though all shopping is done cashless via the app, you’ll be able to pick up the items immediately!